These Table Skirts with Foldable Tables are Brilliantly Colored for High Impact! Provide Your Trade Show Booth with an All-Inclusive Display Solution! 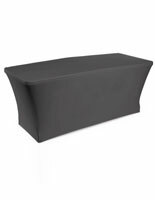 Purchase High Quality Table Skirts and Accessories for Less Right Here! 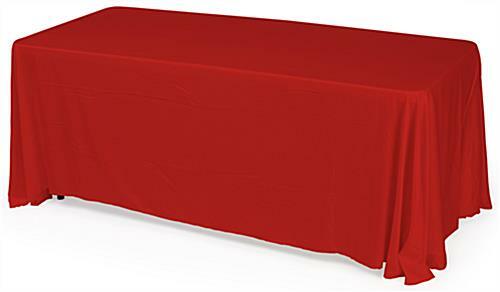 Red, polyester tablecloths are included for instant use! Folding design & carrying handle make travel easy. 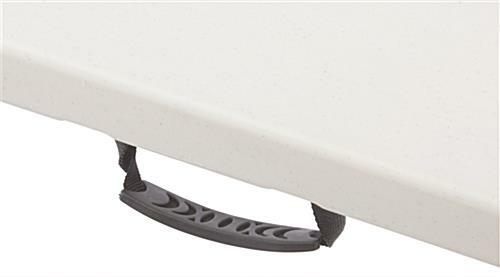 Adjustable covers can fit both 4 & 6-feet-long tables! 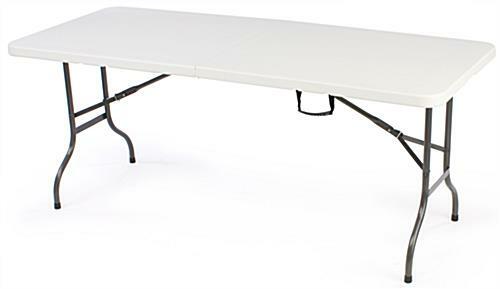 Folding tables make it extremely easy to travel to and from trade show events or exhibitions! 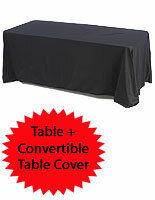 These banquet folding tables with table skirts feature collapsible legs for a compact and easy to transport solution. 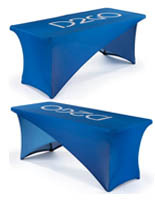 The folding tables, also known as trade show table skirting packs, even include a nylon carrying handle! This makes carrying tables effortless! 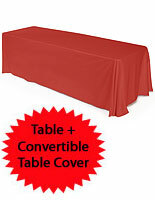 Our company offers these folding tables with red, convertible tablecloths. The folding tables and table skirts are therefore instantly ready for use! 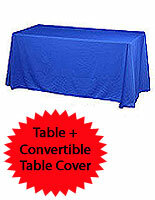 These trade show fixtures, folding tables are 6 feet long and allow tablecloths to drape beautifully overtop. 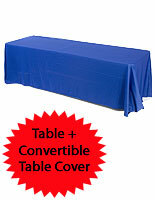 A great feature of these trade show table skirts is their adjustability. The tablecloths are equipped with hook and loop attachments so you can easily change your 6-foot cloth into a fitted 4-foot cover. Folding tables, such as banquet tables with table skirts, are typically used within trade show booths; however you can also find them in retail, banking, educational and business settings. These folding tables, with their red tablecloths, make creating a presentation, regardless of its purpose, an effortless task!